February | 2014 | Where Are You From? Venezuelans have taken to protesting against their government, unhappy with the nation’s security, basic goods shortages, economic situation and restricted freedom of speech. Protestors – mainly young students – have clashed with Venezuelan security forces, resulting in violence, death and imprisonment. 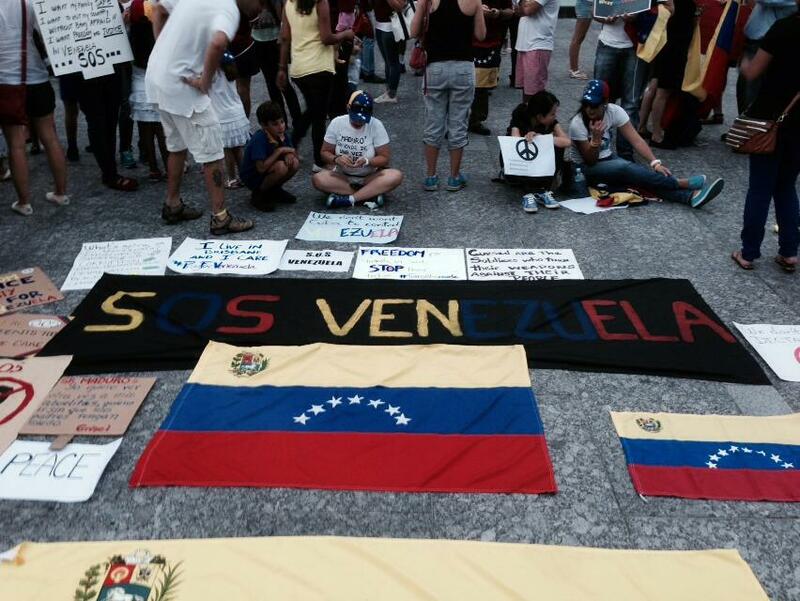 Some parts of Venezuela have banned the right to protest. 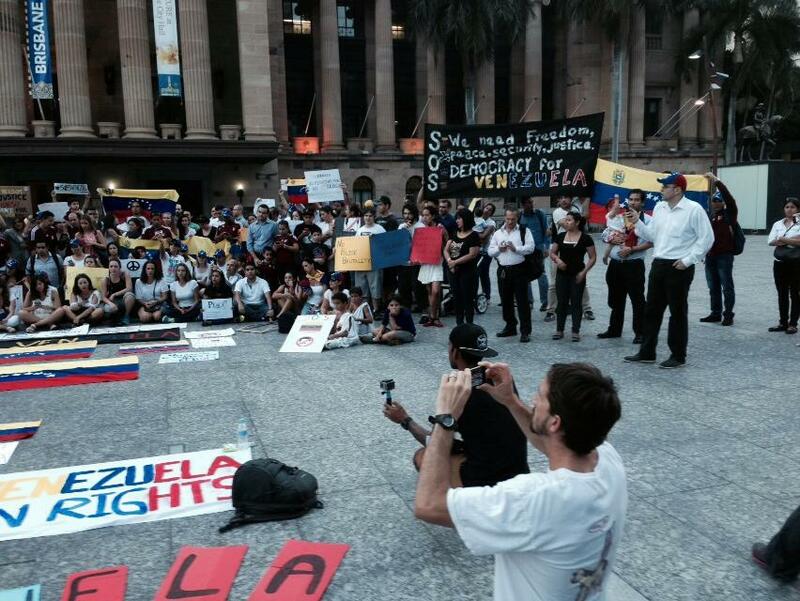 Earlier this week, Venezuelans and their supporters staged a peaceful protest in Brisbane’s King George Square. Natal met Luis Brito, one of the protest organisers, who explained the situation to us. Melissa Lyne is a first generation Burmese-Australian living in Sydney but calls herself a “world citizen”. Following in the footsteps of her scientist father, Melissa pursued a career as a freelance science communicator. After meeting her at the Australian Science Communicators conference in Brisbane, we caught up with Melissa who told us her story of making her way through academia to where she is today. The Digital Writer’s Festival features online writers speaking on their topics of expertise. It’s free and all you need is an internet connection to hear from your favourite writers and talk to them online. We speak to two of the three speakers for Minority Support: Indigenous and Minority Writers’ Online panel – Sunili and Luke. Sunili Govinnage is a human rights lawyer working with asylum seekers in Indonesia. She tweets and blogs about race, feminism and politics, with some of her writing published on the ABC, The Age and The Guardian. Luke Pearson is an Indigenous educator who runs the hugely popular IndigenousX Twitter account, which invites a different Indigenous Twitter user to tweet for a week. It became so popular that IndigenousX is now featured on news website The Guardian. I spoke them ahead of their panel on Friday about their work and how expressing themselves online influences diverse audiences and writers – media opportunities, trolls, and all. Click here to watch Luke and Sunili’s panel – it’ll be streaming live on Friday February 19 at 2pm (QLD time). 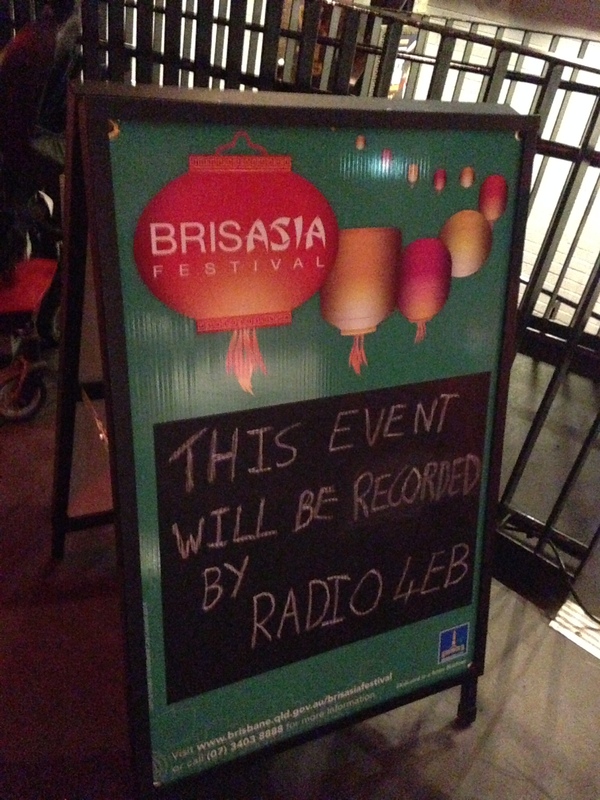 Brisbane’s still celebrating all things Asia after Lunar New Year with the BrisAsia Festival. 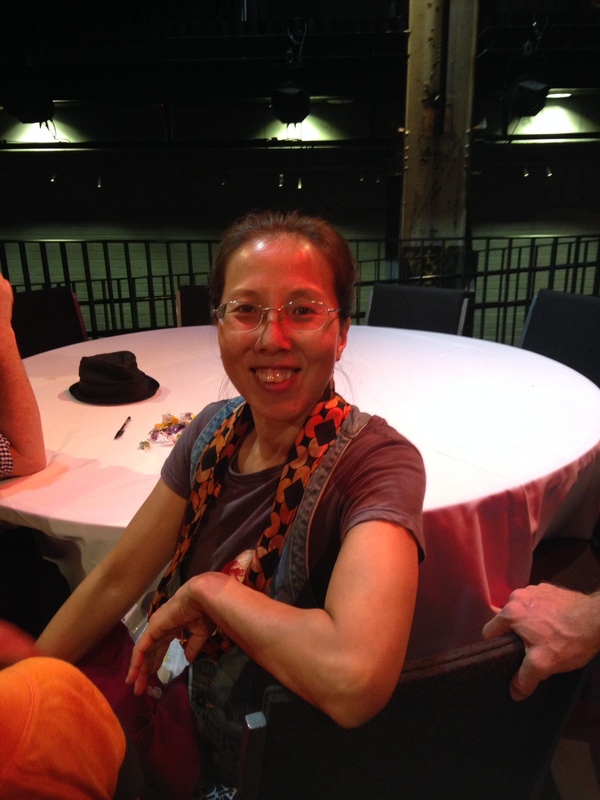 Part of the festival was networking event Yum Chat at the Brisbane Powerhouse. Serving oolong tea and tasty Asian nibblies like dim sims and rice paper rolls, each table at YumChat featured two Asian-Australians working in the arts hosted discussions on culture and creativity. Every half hour, participants moved to another table to meet another two hosts. The first table I sat at featured Anna Yen, a theatre performer, educator and director, and arts marketer Athalia Foo who also produces the Spool Creative Collective. They talked about how personal cultural identity impacts arts practice, and shared their own experiences being typecast into Asian characters while working in theatre. Other Yum Chat attendees at the table shared their own experiences too. 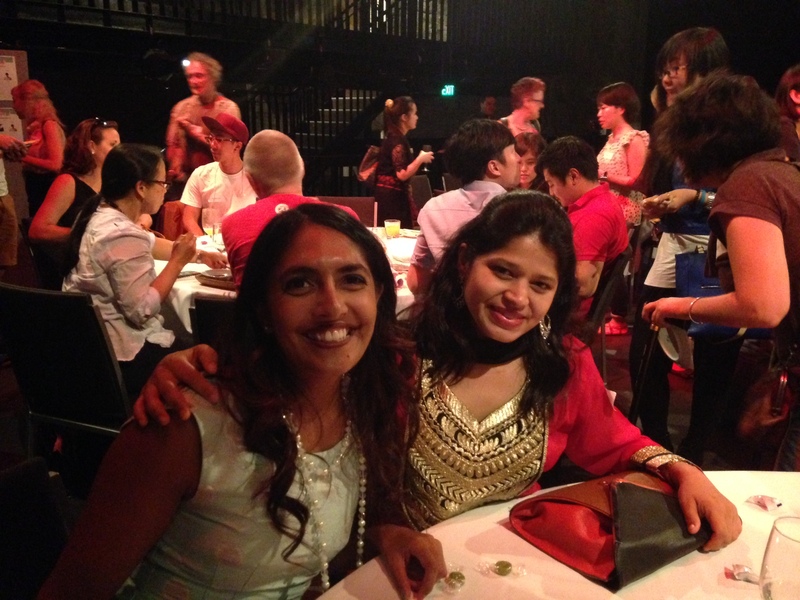 The second table featured two Brisbane Bollywood teachers. Asha Shah grew up performing in Mumbai before coming to Brisbane to found her own dance school, Bollywood Dhamaka. The last time we met Rachael Jacobs was before the Federal Election when she represented the Brisbane Greens, but she was at Yum Chat to talk about her passion – dancing. They talked about the different ways their Indian families reacted to their dreams of performing. The last table I visited was hosted by two men. 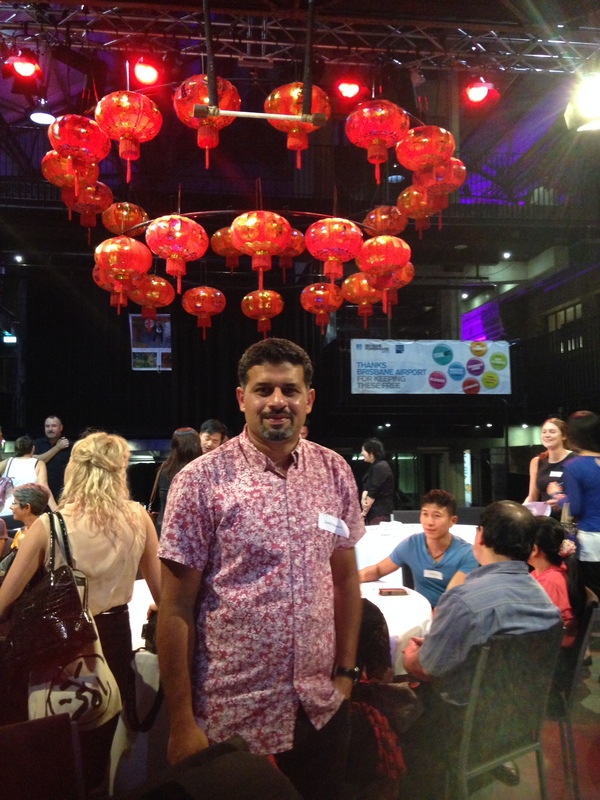 Sumit Panjwani is passionate about multicultural community development. He’s worked with the Ferment Collaborate collective, who we spoke to about one of their projects last year. Dheeraj Shrestha is a musician from Nepal, bringing the unique sound of the tabla to Brisbane. 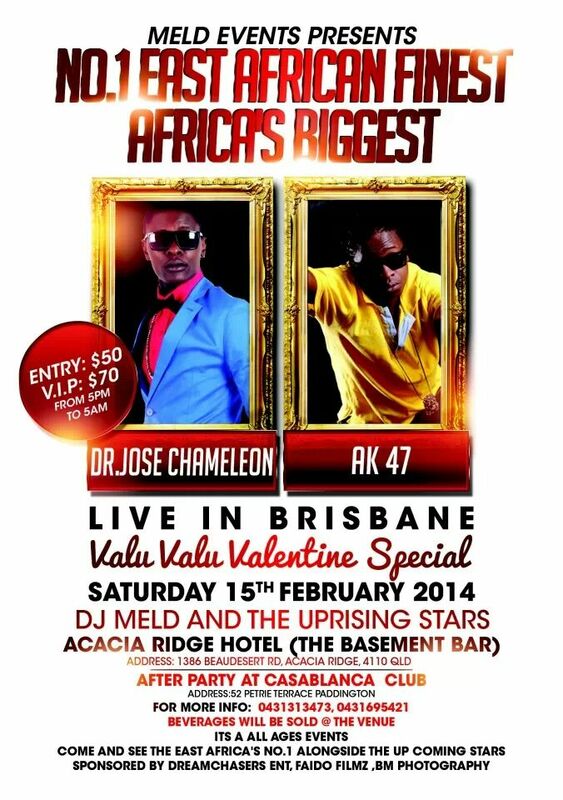 Ugandan-Aussie DJ Onassy is supporting Ugandan superstar Dr Jose Chameleon this weekend in Acacia Ridge. Before he was a DJ, Mr Onassy had to start over in Australia to study a Cert III in English at TAFE after completing his senior certificate back home in Uganda. He later enrolled into a Diploma of Building Design and Technology at the South Bank Institute of Technology. 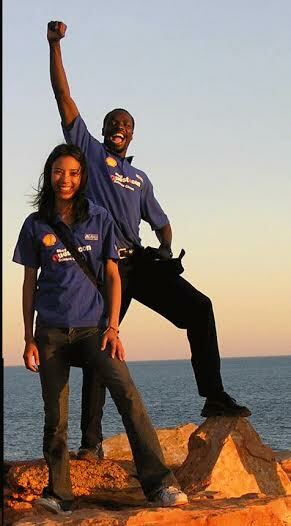 During the 2010 financial recession, Onassy found it hard to get employment with his diploma. Then he was involved into a car accident and taken to hospital with broken ribs. Onassy recovered gradually and started learning DJing skills from his friend. He launched DJ Onassy Entertainment and started throwing parties across the local African communities in Brisbane. With great family responsibility, Onassy developed a discipline and guidelines for his business – one of which is refusing to DJ in clubs with a hostile environment. DJ Onassy with DJ Meld will be supports Ugandan musician Dr Jose Chameleone’s tour in Brisbane on this Saturday February 15 at the Acacia Ridge Hotel. Have you visited the JiHa Underground? Every year, an arts space in Brisbane transforms into a cosy Korean bar filled with mismatched chairs, odds and ends, drinks, and stories. You can sit at the bar and watch stories about love and gender, sung and spoken in both English and Korean. I met Park Younghee, one of the performers in the JiHa Underground. She talks to us about this unique production combining Korean and Western storytelling and songs set in a Korean bar. The JiHa Underground starts next week at the Brisbane Powerhouse from Wednesday the 12th of February until Sunday the 23rd. After the show, you’re invited to stay up late for a few drinks and watch a different musician every night. The Treaty made New Zealand a part of the British Empire, guaranteed Māori people rights to their land and as well as equal rights of British subjects. The treaty also aimed to end the ongoing conflict and to bring people together in New Zealand. Ever since, this day has been recognized in New Zealand and Britain as a public holiday, and it is also celebrated in other parts of the world – including here in Australia. Natal talked to Rex Spainton, a stage manager preparing the Waitangi Day event at the Gold Coast. 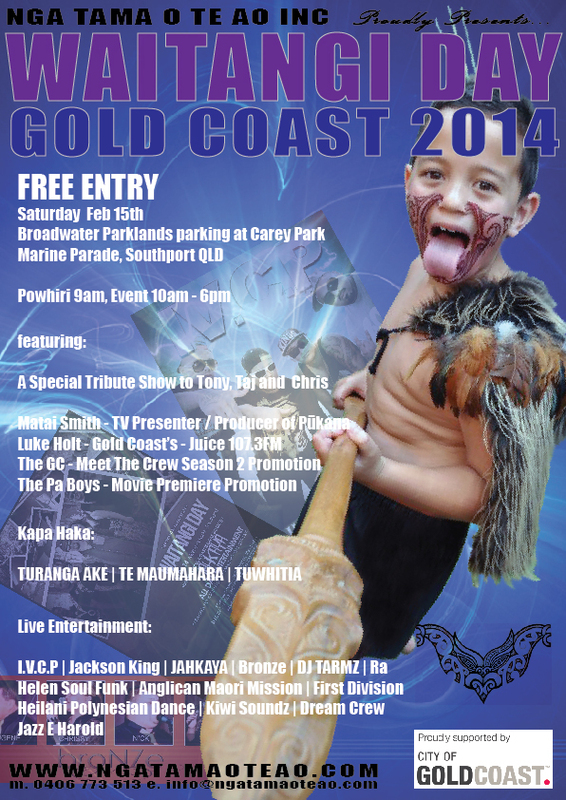 It’s on February 15th at the Broadwater Parklands in Southport on the Gold Coast, starting from 10am. There’s more info about the day at the Ngatamaoteao website.